This week has been such a lovely week spent in Scotland and I am so happy that we have had this time away as a family. May 13th 2018: Sunday we visited my grandparents and had a wonderful dinner followed by Squidgy doing "paw" with their dog, Poppy. May 14th 2018: Monday John and I celebrated our seventh wedding anniversary. 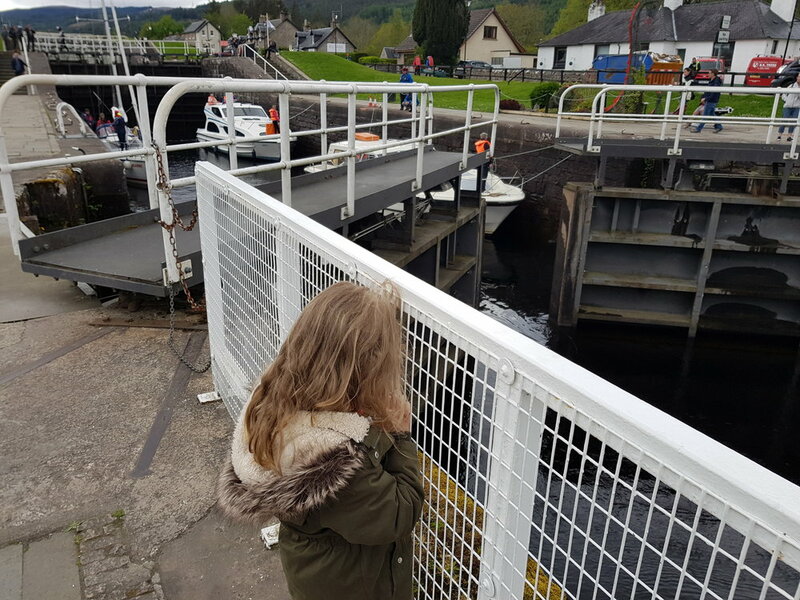 May 15th 2018: Tuesday we visited Fort Augustus near Loch Ness and the girls saw a lock for the first time. 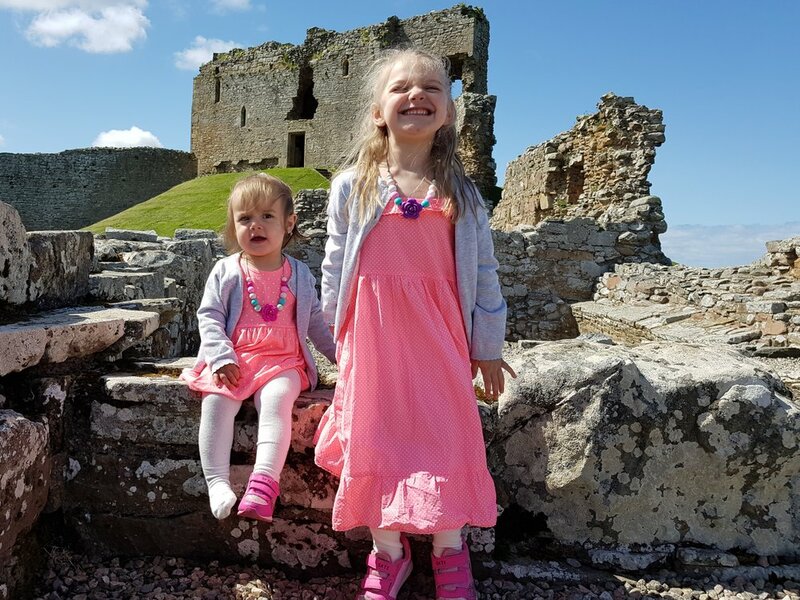 May 16th 2018: Wednesday we visited Duffus Castle, a beautiful castle ruin on a hill that is free to visit! May 17th 2018: With our time in Scotland coming to an end and my car in the garage getting fixed, Thursday was spent on site, and Squidgy's favourite time was spent in the pool. 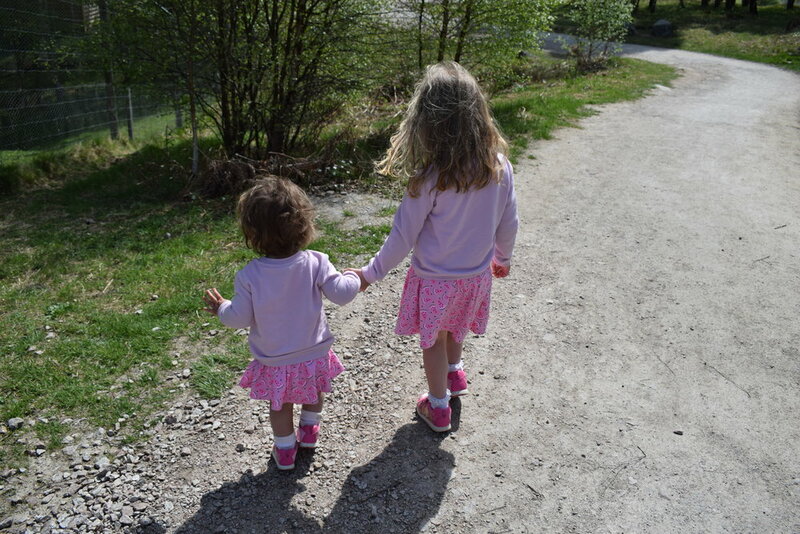 May 18th 2018: Friday we made a visit to Kincraig's Highland Wildlife Park, and all of us had a wonderful day, especially the girls who wandered around hand in hand. 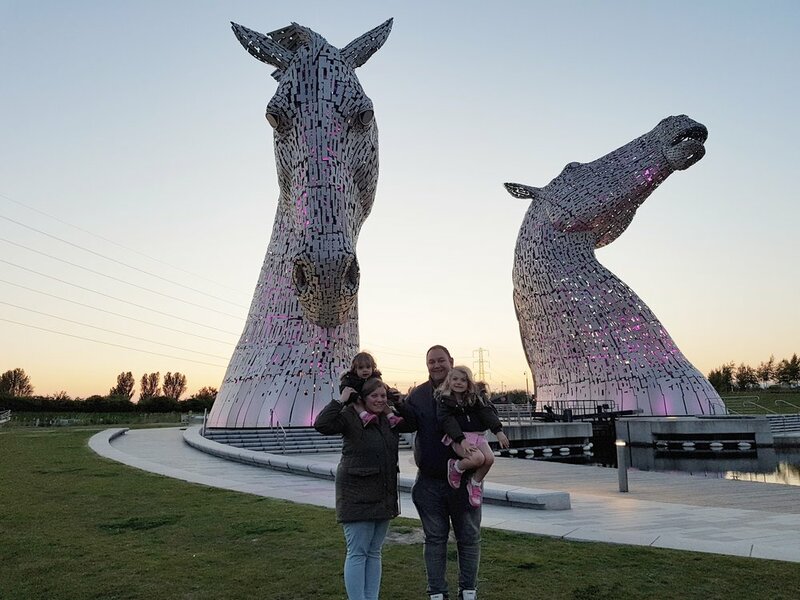 May 19th 2018: Last night we made a late night trip to the Kelpies as they are just down the road from our hotel and watched as the pink lights inside began to make them glow as the sun set. Today we revisited and got to see them in all their glory in the light of Saturday morning. That's it for another week! Did you catch my #Project365 week nineteen post? Check it out now!